It's that time again... Another Handmade Confession. I'm especially excited for this confession-- Anshu is not just the talented blogger behind Blooms 'n' Bugs and Sew Pretty Sew Free, she's also a friend! She is such a sweetheart and has gone out of her way to encourage me since I started the blog. Anshu's blog is full of free project ideas and tutorials. Just this week she released a free pattern for this summery Fourth of July Dress! 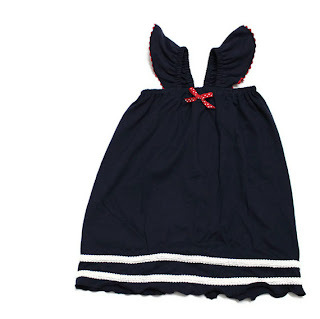 And of course, who could not love this adorable birthday dress? She also makes fascinators and baby headbands! And she's recently reopened her Etsy Shop! Check out her flower girl collection if you'd like to buy a custom handmade dress. And now... lets find out what she's hiding. :) Anshu's what's your confession? 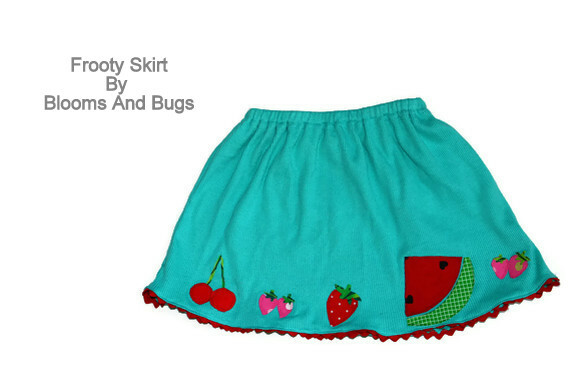 Hello, This is Anshu from Blooms And Bugs - A girls clothing boutique. I was introduced to Make It Handmade via Palak's comprehensive and easy to follow post on sergers Serger Relationship Rescue Series on Sew Mama Sew. It was simply phenomenal! The initial story sounded so much like mine, although me and my serger are still in counseling ( at Make It Handmade Serger Relationship Rescue Series of course, where else?). Over time, I kept running into Palak's awesome work and tutorials ( and super cute kids) at various big crafty websites I used to follow like UCreate, Craftgawker and Moda Bake Shop. Finally I succumbed to the pressure and started following her blog so I don't miss out on any awesomeness. So when Palak asked me to participate in her series, I said yes before I could think. And then I thought...hmm...Sewing gotchas, shortcuts, goof ups...hmm. My problem was not that I don't do silly things while sewing, my problem is that I do way too many of them to write in a single post, in fact I could write a whole book titled "Sewing Accidents of Anshu" which will have you laughing till the tears came out of your eyes. So which one do I pick and where do I start? But fear not - I'm not going to hijack the series and do all the remaining posts myself , although the thought did cross my mind. With the help of Palak, I decided upon one particular area where I have...err..room to improve. I started sewing (again) right before my daughter was born. That means that I learned in a very busy and new season of life when I was trying to cope up with the realities of motherhood. In a way sewing was the thing that helped me escape the constant demands on my time, even if for a short period of time. It was almost meditative for me. However, it also meant that even though I had a gazillion projects on my mind at any given time, I could manage to ever sew only a handful of them. Since I was re-learning to sew, most of my projects led to unwearables. This shortage of time and desire to sew something useful and functional led me to adopt a ninja like approach to sewing. I tried to finish my projects as quickly as possible with a single aim of making something wearable or useful. I paid little attention to small details like finishing inner seams or embellishing and decorative details. This way I had something to show for my efforts and would get the satisfaction of seeing my daughter wear my crafts. It also helped me test different patterns and projects and helped me become a better seamstress. Fast forward two years, I now have an etsy store and a sewing blog, but that ninja style of sewing that I adopted early on is proving really hard to shake. I am now reasonably competent in sewing kids clothes, but I still feel like racing to the finish line when I work on a project. Before I start something, I have grand vision about the details I'm going to put in, but by the time I'm done sewing the basic garment, I'm already envisioning and planning my next project. The result? blah clothes that are totally wearable, in fact they last forever, but totally boring, especially to kids. Want some examples? Sure thing! These both skirts were made with the exact same tutorial. Which one do you think my daughter loves? This dress was the perfect canvas for any embellishing technique I wanted to try, except that this canvas remained empty. The same construction when I spent just a little time to add a few details. Gets picked up every-time we get ready for the pre-school. I could go on and on..but you got the point, right? Now that I have so publicly accepted and identified my sewing issues, the most logical course of action would be to try and resolve them. So from now on, I will try to not declare a project finished until I add at least one small embellishment or decorative detail on it. In fact, I did a project just to let you know that I mean it. Here is a Collar Dress Tutorial that I did a few weeks ago on The Ribbon Retreat blog. I took my time in drafting the pattern and sewing the dress so I know that the basic dress was fine, the print beautiful and the fabric is a joy to sew with. However, my daughter would have nothing to do with it and really could anyone blame her. Then I cut out the fishes and arranged them near the hem. Then I ironed them on highest setting with no steam. Stitched the fishes down with a contrasting thread. And added a 1 inch wide grosgrain ribbon parallel to the hemline. Then I added another ric-rac just a bit above grosgrain ribbon. Made a daughter for the fish eyes with a fabric marker. Since I was adding them AFTER the dress was sewn, I had to pick out the side seams about an inch to finish the ribbon and ric-rac. A little love to the back as well. The slit just seemed to be begging for a bow. A matching headband of course! Fortunately the vendor I buy crafty things from just happened to include a freebie in my package - a yellow crochet headband! It took me an hour to finish all this. Was it worth it? I will let you decide. By the way, little miss happily wore it to the swimming pool next day. Thanks for sharing such a heartfelt post Anshu! Love those sweet little fishies-- totally worth it in my book. I think so many of us can identify with 'ninja sewing' and not having time to finish up projects the way we wanted. That being said, I only just recently realized how even our kids appreciate the small details; when I noticed my daughter wearing a pair of shorts I made backwards. When I asked her why, she said she liked the back pockets. Next time I'll keep the extras where they can see them! And thanks for reading everyone! If you get a chance, stop by Anshu's shop and take a look at her lovely dresses. 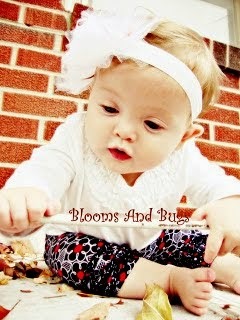 And definitely stop by Blooms 'n' Bugs, and give her some comment love for sharing with us today!